Office room or workspace place needs more dynamic and stimulating positive energies to work for better productivity. 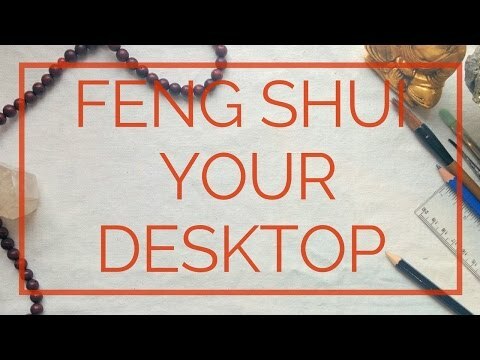 If you are tired of working hours or don’t feel comfortable and lacked enthusiasm and have a sense of laziness when you be in Office room,and you can’t work well, today on our blog ” Decorationy” give you 10 Feng Shui Office tips to help you get the activity and bring you happiness and money and achieve better productivity. Get rid of all that is unnecessary and causes noise and chaos and especially papers that not need them. Keep your Windows clean from dust permanently because cleaning brings you happiness and success. one the Feng Shui Office tips must be well southeastern corner tidy and in a mess, it’ll make you feel uncomfortable. This corner must contain valuables and important goals or things. According to Feng Shui office tips,does not choose the office room in the Corridor, and if so, try to impede the rapid negative energy here by placing plates or acquisitions on the sides of the aisle, as well as some plants on both sides of the door to your room until you slow down the destructive negative energy flowing into your room. Be sure that there isn’t anything that makes you feel uncomfortable within the Office. It must have furniture and comfortable office chair, you can move within the office in all directions without any obstruction. When You’re sitting at your desk doesn’t make you a window or door or wall bathroom behind you because they bring you negative energies. Feng Shui Office recommends that there is a beautiful view inside or outside the Office. Keep see something beautiful to bring you happiness and joy. But put a bouquet of flowers or plants, renewable fresh to help absorb toxins from the air room and give beautiful smells. We recommend that you put a picture of a mountain or large rock solid behind the seat, they give a sense of security and strength. We recommend put a motivational phrase on walls in front of your eye is always more motivation and help you achieve your goals. Arrange your desktop in the form of squares and make you an empty space. in front you. put a family portrait , your child ,your wife . the crystals at the top right, top left something precious or vegetation, top center, your customized deck of personal or company logo, bottom right telephone or PC, bottom left container or file that you want to work on it. I was initially leery about Feng Shui until a friend swore things changed after reading Lillian Too’s Living with Good Feng Shui book and applying it into her day-to-day life. Googled it and found a copy from Noon Books. I thoroughly enjoyed reading it, applying it and waiting for positive results. I swear life seems to just “flow” now instead of just “chug along” if you know what I mean. Money comes in from unexpected sources and relationships seem to require no effort. Life just seems happier. I can’t explain it, but it works. I guess at the end of the day that’s what it all boils down to. Super thankful I stumbled upon this and gave it a chance.